"Be fresh be simple - Fresh express is recognized for the freshest, most delicious and flavorful salads possible to enjoy and be delighted with. 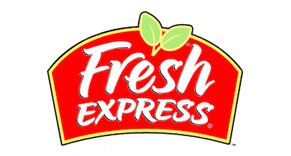 The salads are confidently bought and assertively served then just freshness makes all the difference……"
Solution offered: In a nutshell, Prologix planned a structured cabling, backbone fibre connectivity and rack management solution for the Fresh Express Warehouse in Dubai Investment Park. The scope of the project entailed installation of 750 Cabling Points, including Data, Voice, CCTV, Wireless Access Points, Fibre Cabling, Time Attendance and Door Access Controllers. The latest technology CAT6A Series Cabling material was installed with Shield Protection. Benefits to the company : With our structured cabling solution, Fresh Express could seamlessly manage inflow and outflow of data, calls, and goods. The systematic management of the goods through video surveillance (CCTV cameras) enabled them to avoid confusions, streamline operations and improve infrastructure efficiency, manageability and flexibility of business.